zarinahtakesapaycut: Jail Term - Part 1. Is this the most likely outcome for these two Senior Partners in PwC Malaysia? Jail Term - Part 1. Is this the most likely outcome for these two Senior Partners in PwC Malaysia? We have received from our sources in PwC, a sworn statement by the Chairman of PricewaterhouseCoopers Malaysia, Datuk Johan Raslan, that states that the Court of Appeal finds the claims made against PricewaterhouseCoopers Consulting Sdn Bhd (464379-U) could not be said to be manifestly unsustainable. The Malaysian Penal Code Sections 197, 199, 200 view the signing of a false declaration as a punishable offence equal to one of giving false evidence. 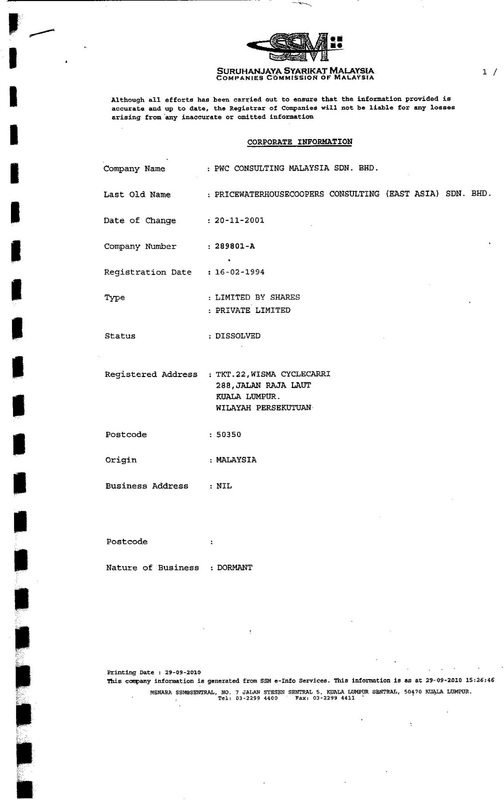 Instead, a company called PricewaterhouseCoopers Consulting (East Asia) Sdn Bhd was renamed as PwC Consulting Sdn Bhd (289801-A) and disposed of to IBM Corp.
We have received a copy of a sworn statement by Raja Tan Sri Dato' Seri Arshad, the former Chairman of PwC, in which it is attested that PricewaterhouseCoopers Consulting Sdn Bhd (464379-U) is a member firm of the global organisation of PricewaterhouseCoopers. This makes the sale of PwC Consulting Sdn Bhd (289801-A) a fraudulent sale. 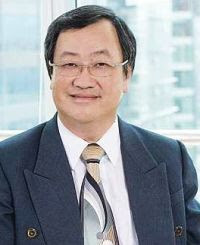 Chin Kwai Fatt signed in 2008 that the firm of PricewaterhouseCoopers Consulting Sdn Bhd (464379-U), at the date of the signing is able to meet its liabilities as and when they fall due. There was no disclosure made in the submissions signed by Chin Kwai Fatt of the several hundred million Ringgit in contingent liabilities that PricewaterhouseCoopers Consulting Sdn Bhd (464379-U) has. In the sworn statement by Dato Johan Raslan, the current Chairman of PwC in Malaysia, that we received from our sources, it is stated that the Court of Appeal finds that the claims made against PricewaterhouseCoopers Consulting Sdn Bhd (464379-U) could not be said to be manifestly unsustainable. Chin Kwai Fatt, the MD of PwC Malaysia, as the signatory knew of this from day 1, yet not only did he sign the declaration, he also did not ensure that the contingent liabilities were disclosed as required. The only argument that may be used is that the suits against PricewaterhouseCoopers Consulting Sdn Bhd (464379-U) by various parties, are frivolous and vexatious. But even that window is closed by the admission of Johan Raslan that the plaintiffs claims are not manifestly unsustainable! This makes the signing by Chin Kwai Fatt a false declaration, which is an offence under the Malaysian Penal Code! On what basis did Chin Kwai Fatt sign the certificates without disclosing the contingent liabilities, and making the statement that they are able to meet liabilities as and when they fall due?! The failure of PricewaterhouseCoopers Consulting Sdn Bhd (464379-U) to furnish a duly signed certificate relating to exempt private company in the submissions for 2009 is by itself a violation of the law. But the Senior Partner of PwC, Khoo Chuan Keat, who signs as the Company Secretary in 2009 also did not ensure that the contingent liabilities were disclosed. 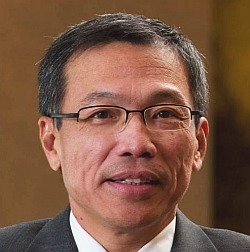 Just like Chin Kwai Fatt the year before, Khoo Chuan Keat has also signed that PricewaterhouseCoopers Consulting Sdn Bhd (464379-U) is able to meet its liabilities as and when they fall due. Chin Kwai Fatt has signed a false declaration in 2008, an offence under the Malaysian Penal Code. Khoo Chuan Keat has signed a false declaration in 2009, an offence under the Malaysian Penal Code. 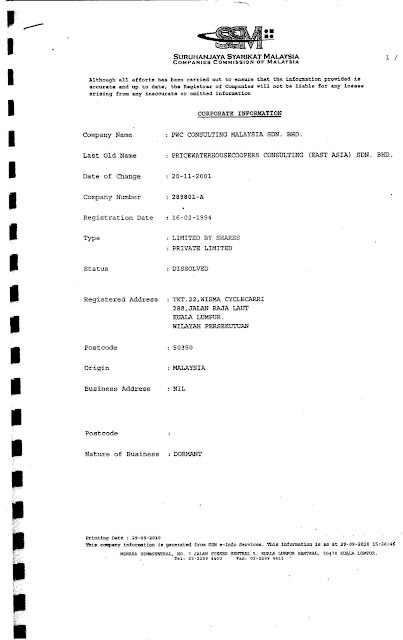 And with PricewaterhouseCoopers Consulting Sdn Bhd (464379-U) declared as having ceased operations in 2009, there is no way for it meet its cash flow solvency against several hundred million in contingent liabilities, and neither is PricewaterhouseCoopers Consulting Sdn Bhd (464379-U) able to meet its balance sheet solvency test, both of which tests were not met in both 2008 and 2009!